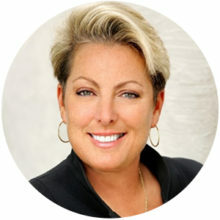 Dina Dwyer-Owens is the Brand Ambassador of Neighborly (formerly Dwyer Group). America also knows her for participating in CBS’s Emmy-winning hit reality show “Undercover Boss.” Dina is a certified franchise executive with more than 35 years of industry experience, 15 years as CEO of Dwyer Group. That business, known now as Neighborly and headquartered in Waco, Texas, is the world’s largest parent company of 21 home service brands and nearly 3,500 franchise owners in nine countries. Dina is the author of two books: Live R.I.C.H. and Values, Inc. that both share her global message for living and leading with a proven code of values. ©2015-2018 Texas ACG Capital Connection. All Rights Reserved.